It is that time of the year when we can finally enjoy the outdoors! It has warmed up and most of the pollen is gone. Now that the basement renovation is complete, we are focusing our efforts on our back yard. One of the items on our project list was adding a fire pit area, since we love to hang out by the pool and entertain friends and family throughout the summer. This gives us an additional seating area and a place to roast marshmallows for s'mores! 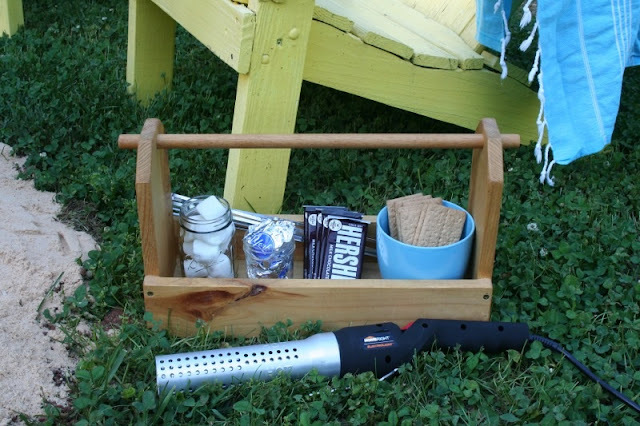 Speaking of s'mores, I am sharing an idea for a Mobile S'mores Caddy along with my favorite new tool from HomeRight that will get your fire going in no time! 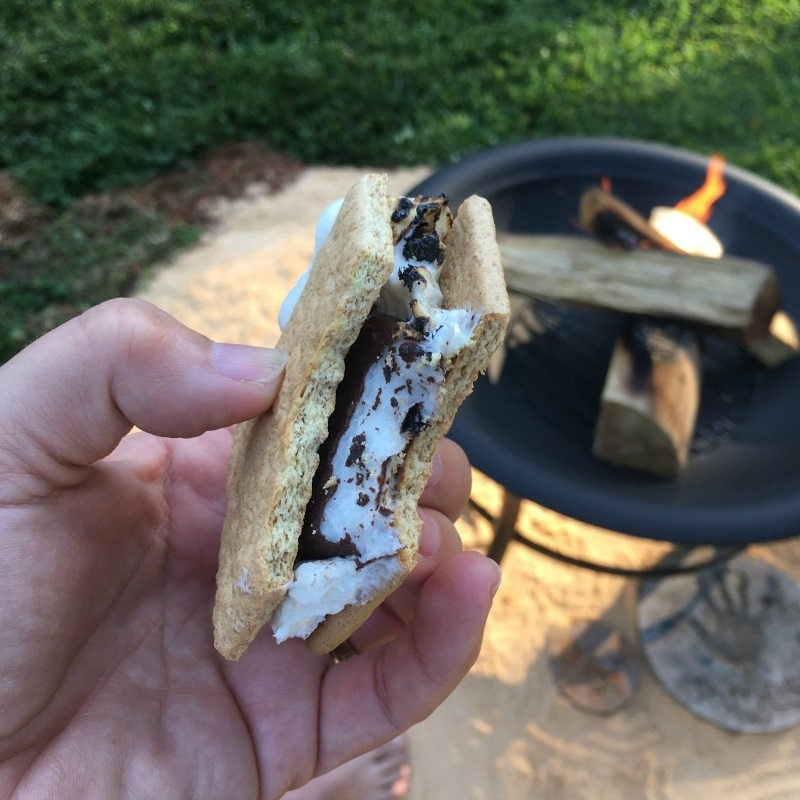 I do not want to be fumbling for S'mores supplies when everyone is ready to eat, so I came up with a way to carry all my ingredients out to the fire pit. I grabbed my wooden tool caddy, a couple of mason jars, and a colorful pot from the Dollar Tree and set them down inside the caddy. I filled the mason jars with marshmallows and peppermint patties (a minty alternative to a Hershey Bar) and used the pot to hold the stack of graham crackers. I also stacked the Hershey bars in between the jars and stuck a few metal skewer in the box as well. Add any other ingredients you want and then carry it outdoors. Now that I have my S'mores Caddy ready, let's get the fire going in the fire pit. 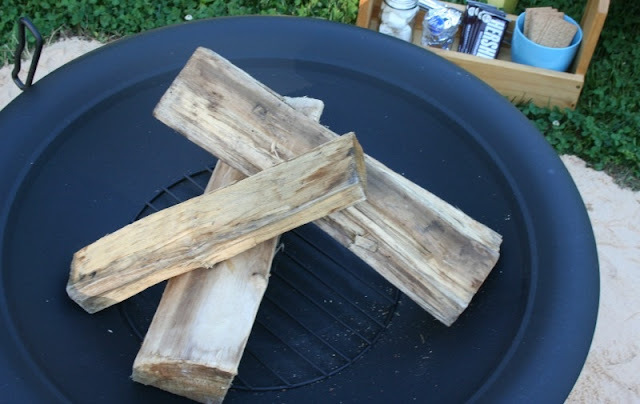 Place the wood in the fire pit criss cross style. Here is where the HomeRight Electro-Light Fire Starter comes in handy. Plug the fire starter into a nearby outlet or grab an extension cord, place the tip on the piece of wood and press the red button. 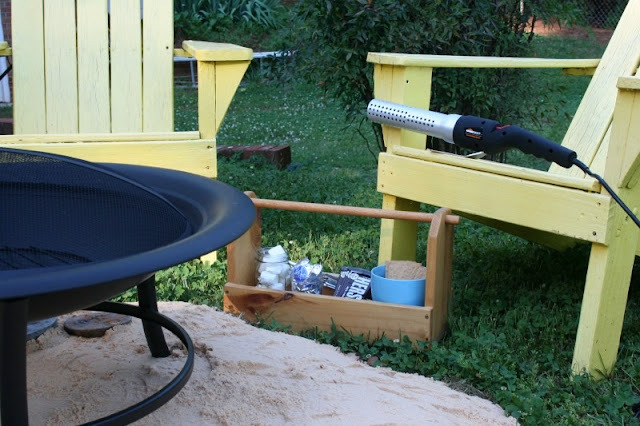 The tip will start to get hot, igniting the wood in just a few minutes and the built in blower fans the flames. Keep holding the tip of the fire starter to the wood until a flame develops, then you can release the red button to turn it off. It does get very hot, (1300 degrees!) so keep it away from animals and children and lay it on a surface such as brick or concrete until it has cooled. 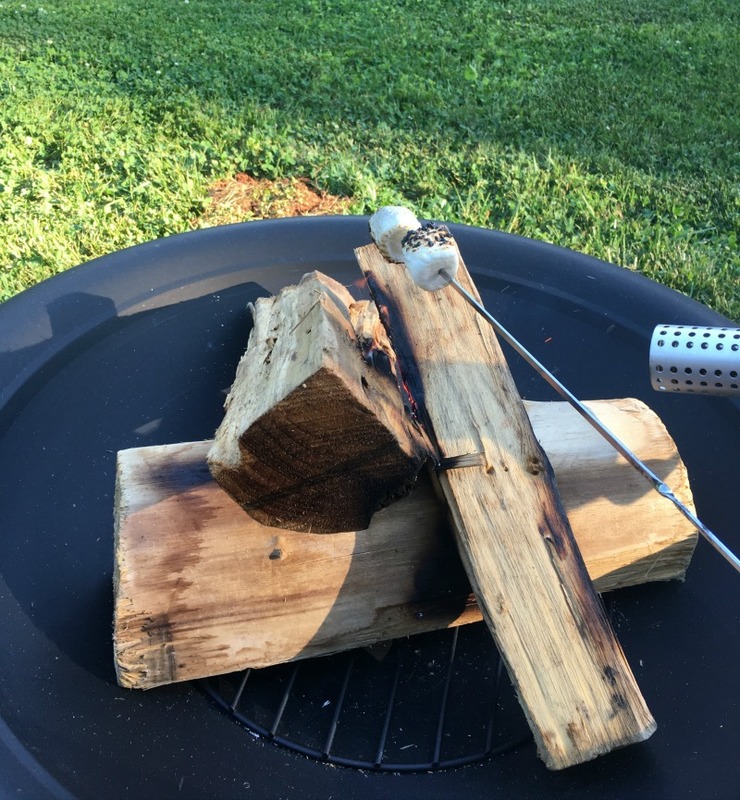 Grab your skewers and marshmallows and get to roasting! 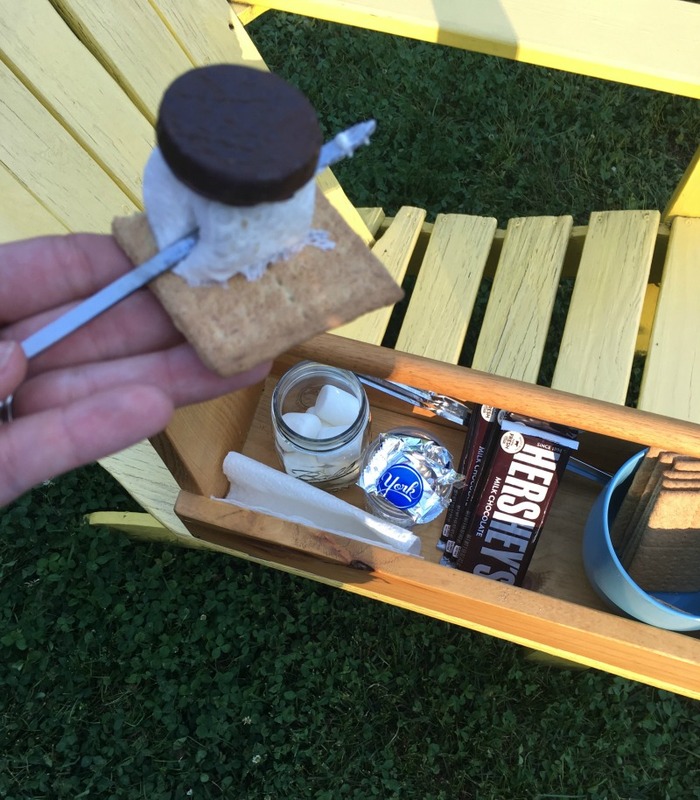 I got creative with my s'mores and used a peppermint patty instead of a Hershey bar for a minty treat! How do you make your s'mores? If you want to see more of my HomeRight projects, click this link! Such a cute idea! 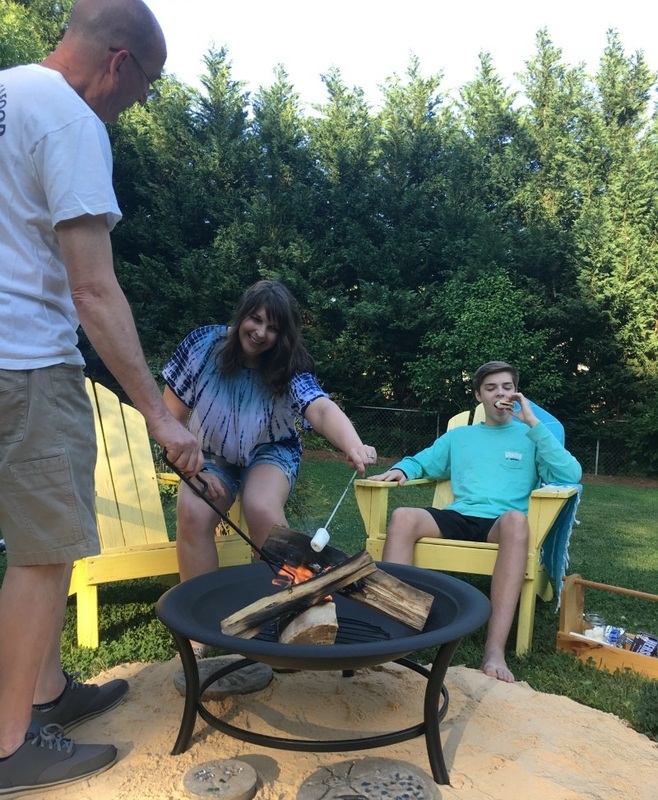 We have a gas fire pit and I love making s'mores! Thank you! I am so excited to finally have a fire pit! No more s'mores in the microwave. This is BRILLIANT, Mary! I actually got some stuff to make s'mores for the kids for their last day of school. I have an extra caddy like that, so I need to do that for all of the supplies. 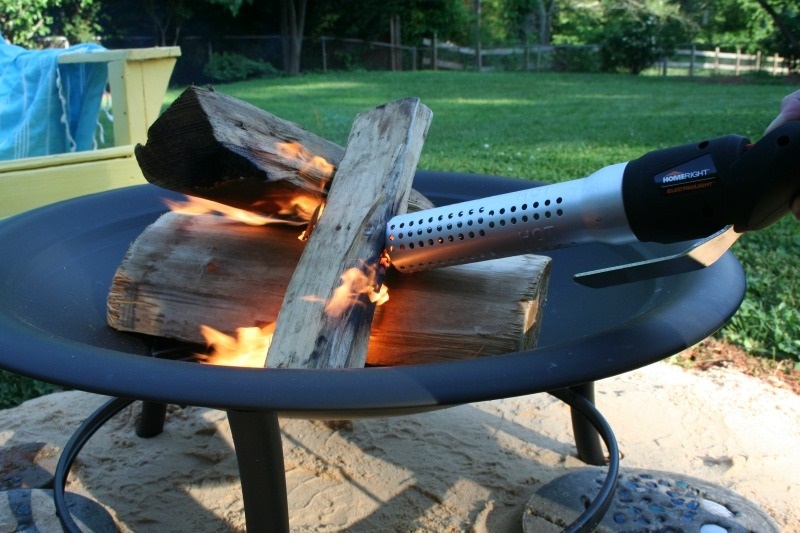 I also love this handy dandy fire starting gadget! So cool! Thanks Carrie! It makes it so easy to keep everything together. 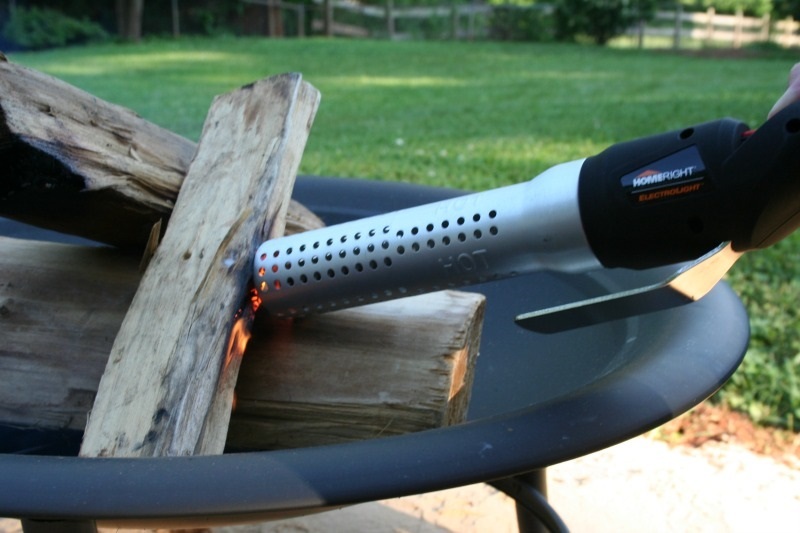 The fire starter is super cool and super easy at lighting the grill or a firepit! 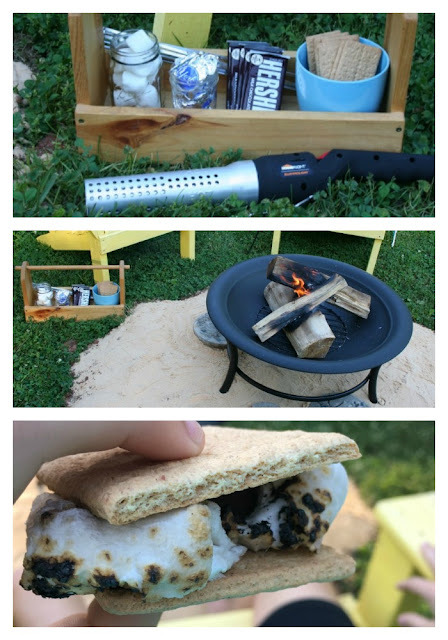 Making S'mores is such a fun summer treat! !